Arthur John Bruno of Eliot, Maine, formerly of Woburn, died November 12th, at the age of 72. Beloved husband of Shirley (Peterson) Bruno. Loving father of Laurie Pitchford of Billerica, Paul Bruno, his wife Marjan of Wakefield and Michelle Waters, her husband Brian of York, ME. Cherished grandfather of Ashley, Abagayle, Wesley, Samantha, Brody, Evah, Darla and Owen. Dear brother of the late Carol Jonak and brother-in-law to Patricia Harlfinger, her husband Richard of Plympton, MA. A Funeral Service will be held in the Lynch-Cantillon Funeral Home, 263 Main Street, Woburn on Thursday, November 15th at 10 a.m. Interment to follow in Woodbrook Cemetery. Relatives and friends are respectfully invited to Calling Hours from 3-7 p.m. on Wednesday. In lieu of flowers, donations may be made in Arthur’s name to the American Cancer Society 30 Speen St., Framingham, MA 01701. For directions or to leave an online condolence, please visit www.lynch-cantillon.com or find us on Facebook under Lynch-Cantillon Funeral Home. Arthur John Bruno, of Eliot, Maine, formerly of Woburn, died peacefully, November 12th, at Portsmouth Regional Hospital, at the age of 72. He was the beloved husband of 54 years to Shirley (Peterson) Bruno. Born and raised in Boston, Arthur was the son of the late Arthur D. and Ruth B. (Holmes) Bruno. For many years Arthur worked for Krafts Foods in various departments. Arthur was an avid collector of records, baseball cards and military memorabilia. Arthur and his family lived in Woburn for 47 years, until 2 years ago when they moved to Eliot, Maine. He loved the coast of Maine and enjoyed his time there. He also enjoyed visiting Flea Markets and spending time at Old Orchard Beach with his family. His family meant the world to him and his greatest joy was spending time with them. 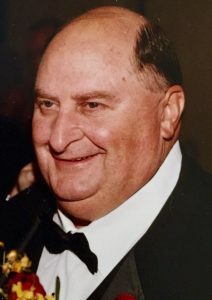 Along with his wife Shirley, Arthur is survived and will be deeply missed by his children, Laurie Pitchford of Billerica, Paul Bruno, his wife Marjan of Wakefield and Michelle Waters, her husband Brian of York, ME; his cherished grandchildren, Ashley, Abagayle, Wesley, Samantha, Brody, Evah, Darla and Owen. Dear brother of the late Carol Jonak and brother-in-law to Patricia Harlfinger, her husband Richard of Plympton, MA, as well as survived by several nephews and cousins. A Funeral Service will be held in the Lynch-Cantillon Funeral Home, 263 Main Street, Woburn on Thursday, November 15th at 10 a.m. Interment to follow in Woodbrook Cemetery. Relatives and friends are respectfully invited to Calling Hours from 3-7 p.m. on Wednesday. In lieu of flowers, donations may be made in Arthur’s name to the American Cancer Society 30 Speen St., Framingham, MA 01701. For directions or to leave an online condolence, please visit www.lynch-cantillon.com or find us on Facebook under Lynch-Cantillon Funeral Home. I am so sorry to hear about Arthur.He was a wonderful person and great to talk to .We spent many work breaks talking about older rock music ,which he was so knowledgeable in. Our deepest sympathies to the Bruno family. Arthur was a great friend and mentor not only to me but to many coworkers as well.